Looking to buy an Android Smartphone under Rs 15,000? Well, the choices are plenty. There are several retailers coming up with attractive pricing complimented by handset discounts, deals and offers. Now is certainly the best time to grab a smart phone. Here’s a list of top 5 android Smartphones matching your budget. Motorola has made a huge comeback with the Moto G handset and it is fast becoming a popular choice among Indian customers. The powerfully packed Moto G runs on Android v5.1.1 (Lollipop) OS operating system and is among the few first devices to be compatible with this OS. Further, priced range from 11K to 12K INR, it does make an irresistible choice for people looking to buy a good smart phone in budget. It’s not a surprise that the Moto G has now become the all-time highest selling device form Motorola. Equipped with 2470 mAh lithium-ion battery backup that runs through the day. 16 GB internal storage and expandable external memory upto 32GM with dual micro-SIM (4G+4G). Xiaomi is one of the most popular Chinese smart-phone brands in the world. Xiaomi Mi 4 is one of the successful android phones under 15000 RS. For people looking for high end smart phone functionality with big display and a host of features, the Huawei Honor 5X is a worthy choice. This Honor 5X smart-phone comes with a full metal body. Honor 5X has multi touch sensitive screen. Surprised to see another Motorola android phone in this list? Moto G Turbo Edition is one of the cheapest smart-phone launched by Motorola. It comes with same design of Moto G (3rd Generation) but with powerful operating system. The battery life of this android phone is quite good, with almost back up of one day regular use. This smart-phone also offers best gaming experience in this budget. 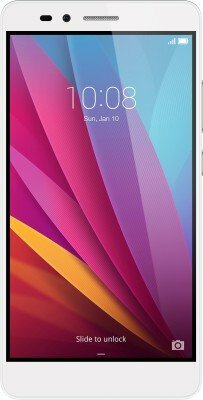 Asus Zenfone 2 ZE551ML is one of the cheapest and most selling smartphone with amazing features in India. This android phone provides great battery life. This phone supports dual sim. It also supports 4G network in first sim and 2G network in another sim. We are sure that the given list of budget android smartphone will definitely help you to choose the one for you or your loved one. Do you already own such budget android smartphone and want to share your views with DigiFloor readers? Feel free to write here in comments.